Standard Bathroom There are 9 products. 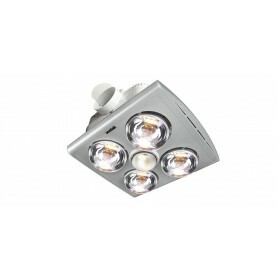 Slimline 3 in 1 with 4x 275w Infrared Heat Lamps, 10W LED Downlight and side ducted exhaust. 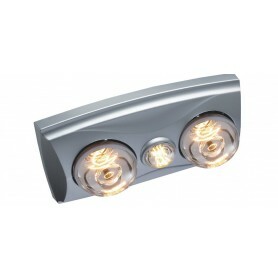 Slimline 3in1 with 2 x 275w Infrared Heat Lamps, 10W LED Downlight and side ducted exhaust. 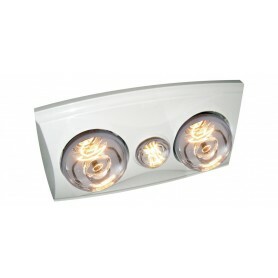 The builders choice 3in1 with 4 x 275w infrared heat lamps with centre R63 100w incandescent globe, side ducted with draft stopper. The builders choice 3in1 with 2 x 275w infrared heat lamps with centre R63 60w incandescent globe, side ducted with draft stopper.